Last week, I received an invitation from Bard Graduate Center in New York to become a short-term research fellow for a six week period next spring. Having waited anxiously for their decision since applying in August, I was (am!) exhilarated to receive this news, and feel truly privileged to be given to opportunity to take part in the strong research community at the BGC. 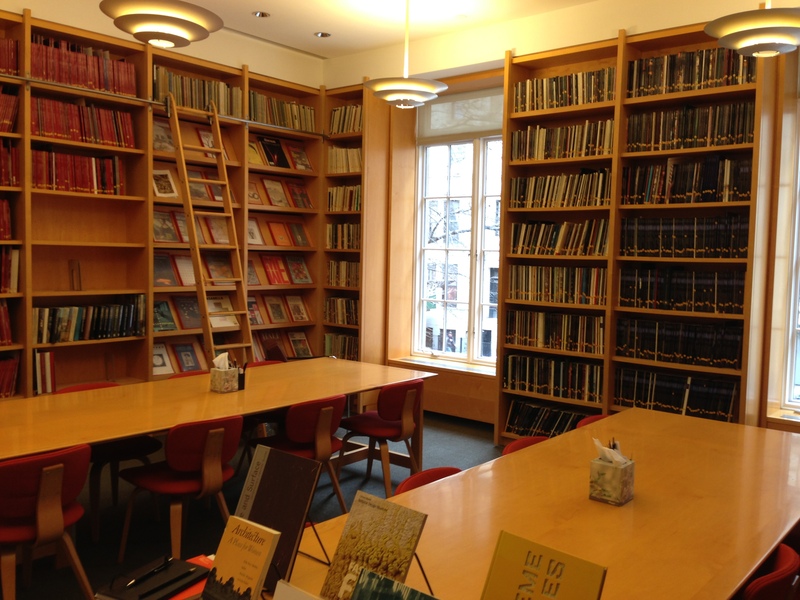 At the Bard Graduate Center our focus is on Cultura. This ancient Latin word referred to the class of activities in which human beings acted on, and so transformed, their natural surroundings. Studying the traces of this effort is, of course, cultural history, but of a specific sort. It directs our attention to the substances intervened upon, the processes used to make these interventions, and the consequences of these interventions. Museum theory, fashion history and media/materiality matters are all represented in the course offerings, making it a perfect institution for research into my project field. The library and Digital Media Lab look simply brilliant, and the symposia and seminar series – open to the public – very inspiring – hopefully the program for the course of my stay will be as interesting. The institution publishes the book series Cultural Histories of the Material World and the journal West 86th: A Journal of Decorative Arts, Design History, and Material Culture as well as publications related to their exhibitions. Yes, there is a gallery too! opening up the field to the general public and making the insititution a vibrant part of NY cultural life as well as hub for intellectual discussion. So this really is a remarkable institution. What excites me the most is the prospect of taking part in the academic community, and really immerse myself in its approach and discourses as well as in my own project. I find BGC’s ‘emphasis on object-centered, question-driven work [which] unites the best approaches of the museum curator and the university professor’ (as put by founder and director Susan Weber) most inspiring, and look forward to take that lead. I will also be doing a presentation to staff and students, hoping to receive some critical feedback and just get stuck into some brilliant eyeopening conversations along the way. It goes without saying that I am also exited by the prospect of spending six weeks in New York. I look forward to explore the world class museums, pick out a couple of good plays, find a favourite second hand haunt, and just wander through the city like modern day flâneur (or flâneuse, I guess), reserving the touristy bits for when my husband and boys come to visit. This will be my first visit to NY, and studying at the BCG and living in Bard Hall, both in Manhattan, I really get the chance be a part of it (New York, New York). Awesome news indeed.